Update: As the deadline for this scheme is drawing to a close, we've added in some further tips for homeowners considering this route in a limited timeframe, plus the latest news on the scheme being extended. 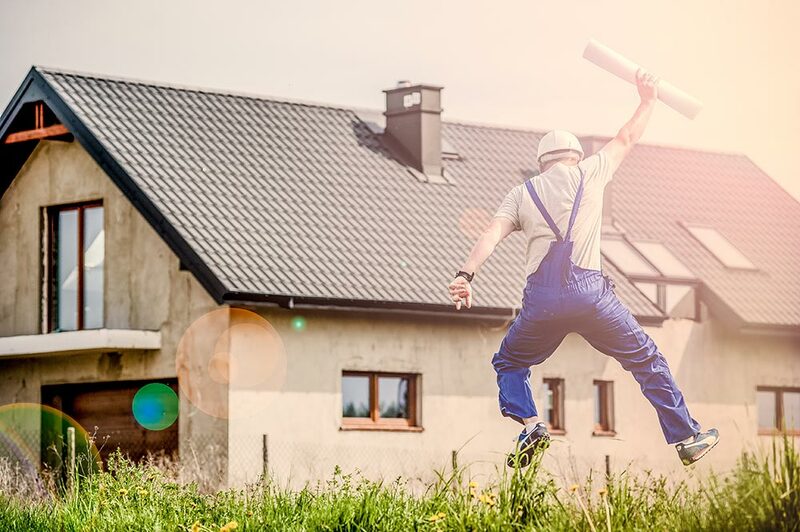 If you’re planning on building a single storey rear extension under your permitted development rights, you have until 30 May 2019 to take advantage of a temporarily doubled size allowance under the Larger Home Extension Scheme. This includes extensions up to 8 metres (from 4 metres) for a detached house, and 6 metres (from 3 metres) for all other houses. Permitted development is a type of pre-approved permission to build, which allows you to bypass the main planning process, providing your proposed designs fall within the government's guidelines. For this reason, it's worth getting an architect on board, who will be used to navigating these rules. You should still apply to your council for a lawful development certificate to prove your development is within the conditions provided, but if your plans fall within the scheme, it can save time and potential complications over putting in a full planning application. Does my single storey rear extension qualify? To take advantage of this extra allowance under permitted development, you’ll need to ensure your plans extend no more than 8 metres (for a detached property) or 6 metres (for all other properties) from the rear elevation of the original house, as it stood on 1 July 1948. Even if you haven’t built a rear extension yourself, your permitted development rights may have already been used up if a previous owner added to the property. If you think this might be the case, book a free consultation call with our friendly architects, who can check on your behalf. No more than half the area of land around the original house (as it stood on 1 July 1948) should be covered by buildings. The maximum height of the extension is 4 metres, as measured from the highest point of natural surface ground. The maximum height reduces to 3 metres if the extension is within 2 metres of a boundary. Construction materials must be similar in appearance to those used for the existing house. No balconies, verandas, raised platforms or chimneys are included. As with any other kind of permitted development, this scheme does not apply to homes in conservation areas, flats or maisonettes. When do I have to build by? In order to benefit from this scheme, your extension must be fully completed on or before 30 May 2019. You’ll need to notify the council in writing once your project is finished. Remember that you'll need to leave up to 42 days for your application to be approved under the Neighbour Consultation Scheme, while sourcing surveyors and contractors also takes time, so you should start planning soon if you're interested in making the most of this increased allowance. You can easily get the ball rolling with our affordable, fast turnaround planning packages, which include designs, floor plans and elevations. What is the Neighbour Consultation Scheme? This is the approval process for extensions built under the Larger Home Extension Scheme. Once you provide the detailed plans for your project to the council (we can help you do this! ), they will notify any adjoining owners or occupiers to your development (i.e. your neighbours) and invite them to raise any objections within a 21 day period. If no objections are received, and the development complies with all of the relevant criteria under permitted development rights and the Larger Home Extension Scheme, you’ll be notified by the council within a 42 day period and may start building, potentially under certain additional conditions. If your application is refused, you can appeal, and we'll advise you on the best next steps. If you’re looking to complete your home just under the wire, with less than 6 months to go, it’s worth noting your build is now at high risk. Party walls - if your build affects a shared boundary between you and a neighbour they could potentially hold your build up by 3 months (if not longer) as you try to come to an agreement. Finding a builder - this might be the hardest obstacle to overcome. If you’ve yet to hire a builder, then you’ll need to find one able to complete construction by May. Most good builders are booked up months in advance, so finding one with the time is going to be a big hurdle. You should also be suspicious of builders who are free to start right away. The weather - plan as hard as you might, you can’t control the weather. If we face a particularly wet spring, or a cold snap, then the construction you’ve organised will face delays, as they wait for better conditions for your materials. When submitting your home for the scheme, you will be required to provide in writing the date of your expected completion. Your local authority will then decide if this seems reasonable, if not, you might be excluded using this planning method. If you do end up missing out on the Larger Home Extension Scheme, this isn’t the end of the world, of even your extension. Rather, you can simply go down the route of planning permission. This is where having an architect by your side really pays off. Not only will they be able advise on the best way to approach your planning authority but, in the case of Resi, we’ll even submit your application on your behalf - acting as your agent throughout the process. ‘We will also make permanent the time-limited permitted development right to allow for larger rear extensions to homes. No further details have been given beyond this statement, and therefore we would still advise homeowners to aim for completion by 30 May 2019.